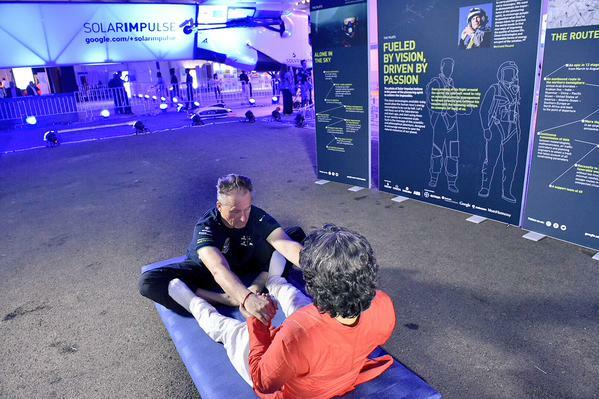 For the pilots of Solar Impulse, the lifesaving techniques can be found in the asanas and pranayams of yoga. 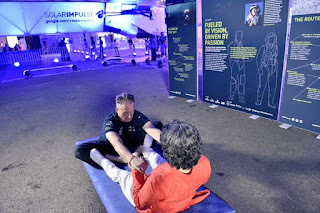 Working with Sanjeev Bhanot, a professional yoga trainer with over 20 years professional experience, André Borschberg has been able to address the difficulties of warming the body with little available oxygen, and cooling the body in the heat of the sun. His plane runs on solar power alone, so its weight had to be kept to a minimum. Before taking off, the pilot said that this journey would be an "extraordinary occasion to discover myself". Indeed the journey was extraordinary which led Andre Borschberg write a new chapter in aviation history, but who is the man behind Andre Borschberg who let the Borschberg touch this feat. 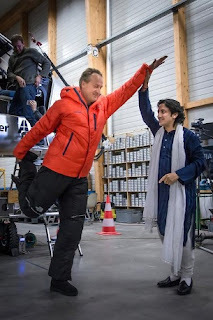 The Yoga instructor who taught the psychologist Andre Borschberg to believe in the inner strength which can overcome any turbulence and uneasiness outside from his customized yoga Asanas, Pranayams specially tailored for the pilot and meditation which constantly kept fuelling the pilot for as long as 118 hours in air. Here is a short bio of Sanjeev Bhanot from his blog. From a small desert town called Dungargarh in Rajasthan to the alpine slopes of Switzerland, it has been a long but beautiful journey for Sanjeev Bhanot, Founder, YogaLife Foundation. Sanjeev facilitates progressive yogic wisdom through dynamic asanas, pranayams, lectures and reflective actions. As a little boy, Sanjeev frequent interactions with the mystics of Dungargarh introduced him to yoga at the tender age of five. Sanjeev has been spreading the magic of yoga throughout the world for almost 16 years now. In 1990, Sanjeev earned a degree in Biology and Chemistry (BSc) and learned traditional Naturopathy in Delhi. Since 1992, Sanjeev has worked as a professional yoga trainer/therapist. The pleasant aura that surrounds him is testimony to years of practice devoted to understanding physiology and psychology of the human body. His knowledge of the human anatomy gives him an edge while teaching yoga asana. Sanjeev’s yoga transforms the way you look at life, making you more positive, healthy and totally empowered. Sanjeev is working in Switzerland, India, USA, UK, Italy, France and Germany. He has been working with international organizations like the UN, World Bank, UNHCR, the World Meteorological Organization, Proctor & Gamble, Nokia/Siemens, Microsoft and Deutsche Bank. 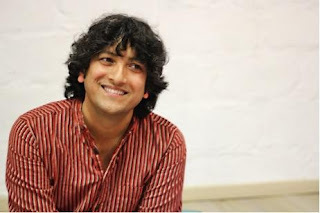 Today, he is presenting yoga sessions on Indian national television and he is running the YogaLife studio in Delhi. He is the principle designer of special programmes, such as couples yoga, facial yoga, kids yoga, sports yoga and corporate yoga. He is also the lead designer and implementer of the regular YogaLife teachers training programme.